The widely successful AMC show, Vince Gilligan’s brilliant “Breaking Bad,” really gets the promo culture and how using promotional products can create authenticity. The show is so realistic that it actually created a brand identity for its fictional fast-food chain, Los Pollos Hermanos (Spanish for “The Chicken Brothers”), which is, viewers know, a front for the famous blue meth manufactured by Walt White and Jesse Pinkman. 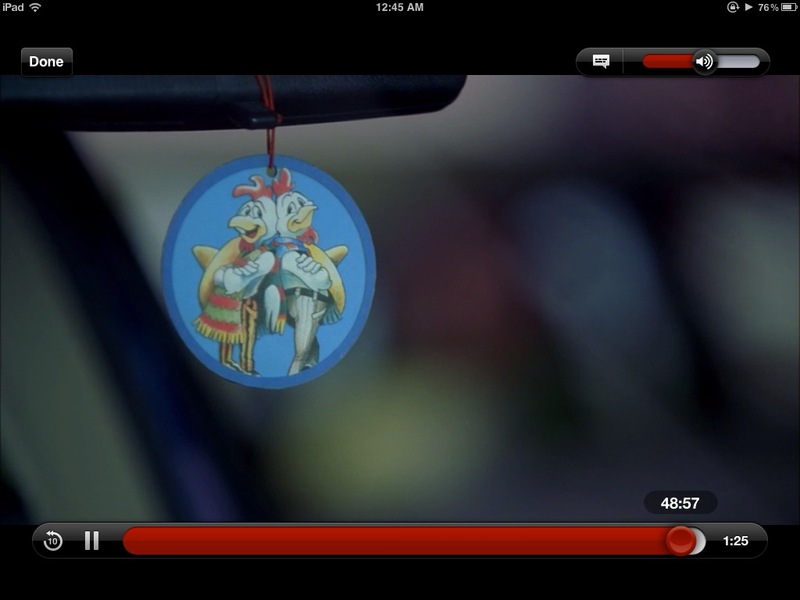 We love the way the show incorporates a promotional air freshener in episode S4E12—it takes a lot of work for TV producers to create scenes so realistic that they actually include custom promotional products. The brand also extends to cool t-shirts, and various websites are picking up and capitalizing on the trends. Case in point: promotional t-shirts, promotional t-shirts and yet more promotional t-shirts. Get caught up on Netflix—Season 5 just started in July 2012—and watch how the show creatively weaves in promotional products. Promo know-how tip: Make your customers feel like an insider with your brand by using logo items. Why Choose ePromos Promotional Products: 15,000+ Items and Counting!